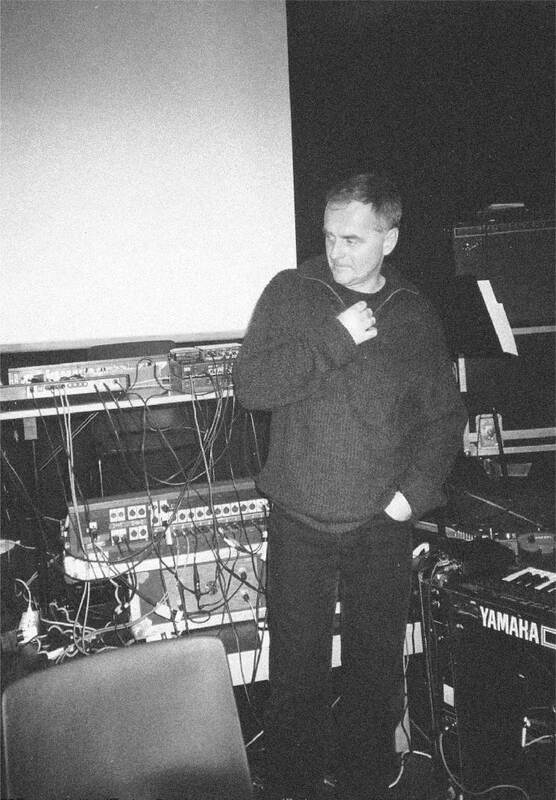 Krzysztof KNITTEL composer, co-founder of improvised music groups, including the KEW Composers’ Group (1973-76), the Independent Electroacoustic Music Studio (1982-84), ‘Pociąg Towarowy’ – ‘Freight Train’ (set up in 1986), the European Improvisation Orchestra (1996-98), the CH&K&K Group (founded in 1999) and ‘Kawalerowie Błotni’ – ‘Mud Cavaliers’ (set up in 2003). Born in Warsaw in 1947, he studied at the Departments of Sound Engineering and of Composition, Conducting and Music Theory of the Fryderyk Chopin State Higher School of Music in Warsaw. Since 1973 he collaborated with the Experimental Studio of Polish Radio in Warsaw. In 1978 he worked at The Center of the Creative and Performing Arts w Buffalo, USA. He composes symphonic, choral, chamber, stage, electro-acoustic and computer works, the music for ballet, theatre and film, he creates also sound installations. He has performed his works in most of the European countries, Asia, North and South Americas. His discography includes over 50 records. During martial law he was active in the circles of independent culture. After 1989 he co-founded the Audio-Art Festival at the Center for Contemporary Art in Warsaw, he served as director of the Warsaw Autumn Festival, he created Ad Libitum festival. In 1999-2003 he was the president of the Polish Composers’ Union and from 2005 to 2017 he served as the president of the Polish Music Council. Since 2014 he is a member of the board of the European Music Council. He is professor emeritus of the Fryderyk Chopin Music University, he teached also at the music academies in Łódź and Kraków. His honours include the Solidarity Prize for the String Quartet (1985), the Award of the Polish Composers’ Union (2003), the Cyprian Kamil Norwid Artistic Award (2003), the ‘Gloria Artis’ Silver Medal of Merit for Culture ((2005). He was also awarded by the Foundation for Contemporary Performing Arts in New York (1998).